No trip is as leisurely as this Sanya private tour package from Haikou. You can stroll through streets lined with coconut palms, lie on the golden beach, bathe under the warm sunshine, enjoy a short cruise to the West Island or taste the tempting seafood on the island province of Hainan. Follow us and you will be captivated by these tropical seaside cities, free of pollution. After a one day tour in Haikou, one of the most famous tourist resorts in China, you will have a chance to relax yourself in the nature. This 3-day itinerary will not only lead you to have Haikou local tour, but also will take you to visit some spots in the east of Hainan, with the highlight of the well-known place Bo'ao. Haikou, city of coconut palms, is a tropical coastal city. 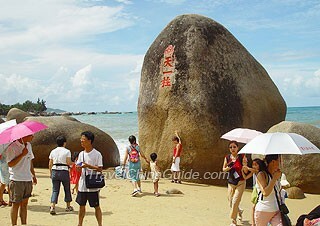 You will start here and travel along the east route of Hainan for this itinerary. For more vacation packages, please click Hiking Adventure, Golf Vacation, Bicycle Routes. You can go to Yulin Islet to enjoy the beautiful scenery of sea and rock, to observe National class rare animals at Datian Slope Deer Sanctuary, to appreciate the Li people's traditional architecture, the thatched cottage in Baicha Village and to watch the second largest reservoir of Hainan province, Daguangba reservoir. All spots are all worth visiting. You can take a bullet train from Sanya Railway Station to Dongfang Railway Station directly, which takes about one hour and fifteen minutes. According to the policy, you are qualified for the Hainan 30-Day Visa-Free Access if you hold Malaysia passports. You need to submit an identity certificate and travel arrangement to Hainan agencies through a travel agency in your country, and then Hainan's travel agencies will apply for the visa-free entry on your behalf from Hainan public security organ and frontier inspection office. The best time to travel to Hainan island is from November and the following April. Late October is also great, with an average temperature of 25 C. But it may be a little moist with some rains. 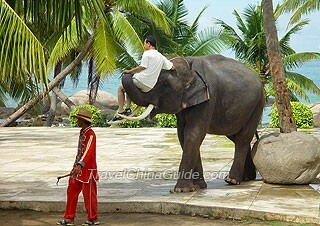 What is the best time to visit Hainan island, and what places need to see???? 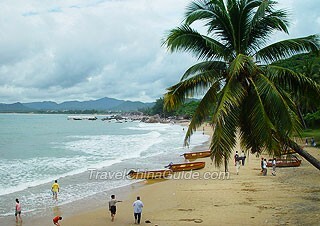 Hainan Island is warm all year round, so you can visit there at any time. 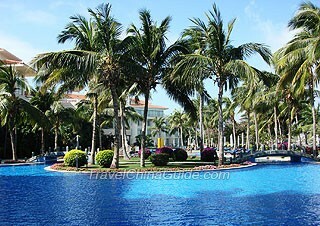 Sanya is the must-see place with soft beaches and beautiful tropical scenery. Remember to avoid there at China holidays.